Tiffany's Online Finds and Deals: Kid's Water Drawing Mat and Pen ONLY $1.69 FREE SHIPPING! 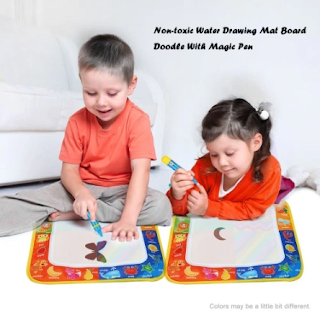 Kid's Water Drawing Mat and Pen ONLY $1.69 FREE SHIPPING! Check out this deal on Kid's Water Drawing Mat and Pen for ONLY $1.69 FREE SHIPPING on Tomtop. It's about 11 in x 12 in so great size for kids. No more crayon or marker messes to clean up!